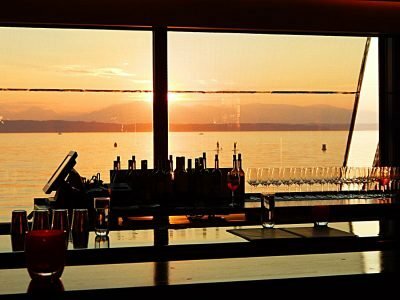 The best Starbucks coffee breakfast and the sunset over the Pacific – in one of our selected restaurants…and welcome drink and appetizer included! 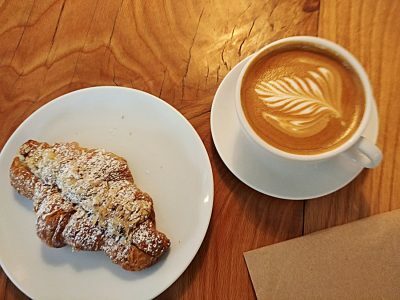 Get to know your international travel companions from around the world: U.S., Australia, Great Britain, Germany and Switzerland are just a few of the countries that are often represented. Get out of the city and into nature. 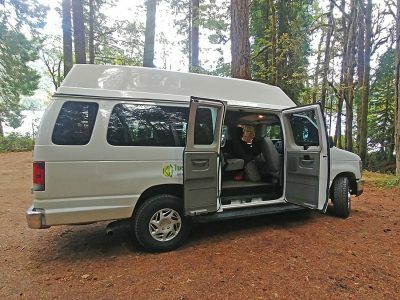 This tour is perfect for nature and photography fans. 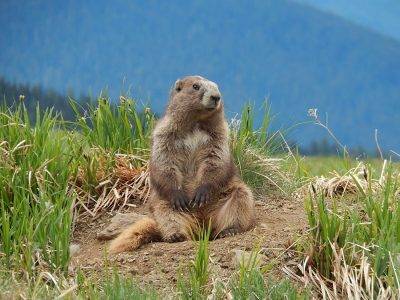 First stop: Olympic National Park – where the snow-covered alps meet rare temperate rain-forest –even endemic marmots love it up here…you will see them – we can practically guarantee it (about 80%) if you are joining our 2 hour hike! 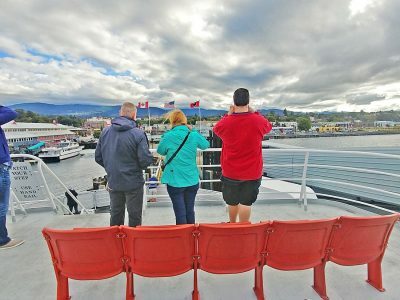 Boarding a ferry to Victoria we look back at the Olympic Peninsula, USA. Good-bye America! 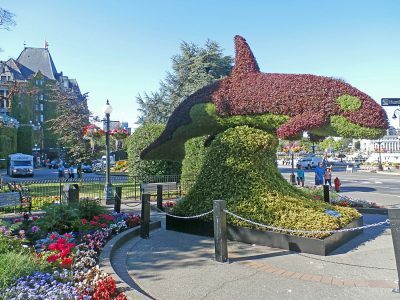 We’re looking forward to a friendly welcome in Victoria, the capitol of British Columbia. 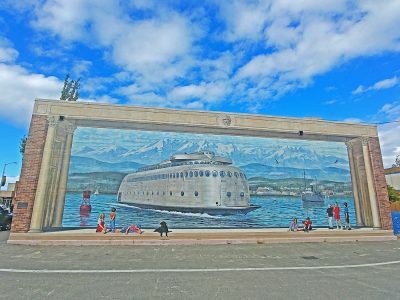 Of course, we’re not on this ferry that looks like an Airstream RV (mural in Port Angeles, USA). 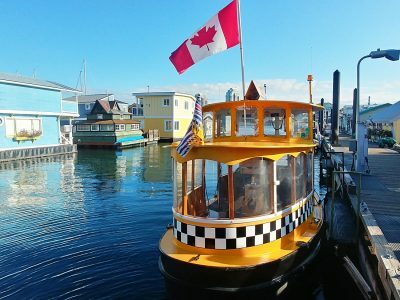 Our comfortable small group van is parked on the lower deck of the ferry and not accessible (area locked by customs) until we arrive at the pedestrian friendly harbor of Victoria, Canada. 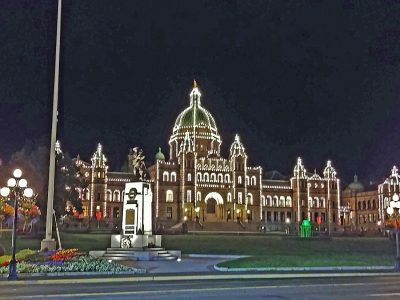 Victoria, the capitol of British Columbia has, as the name indicates, a very British flavor. By night it is a must see and safe to explore independently. See the traditional parliament building – for those who stay up late – just a 7-minute walk from our historic hotel. 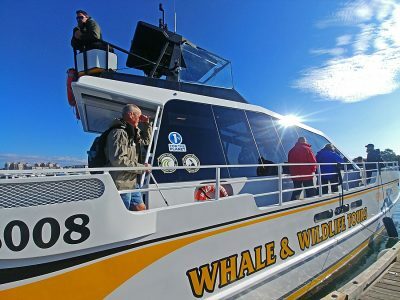 Early morning, an optional outdoor adventure is waiting for us: a whale watching tour and/or exploring the harbor – floating homes and taxi boats. 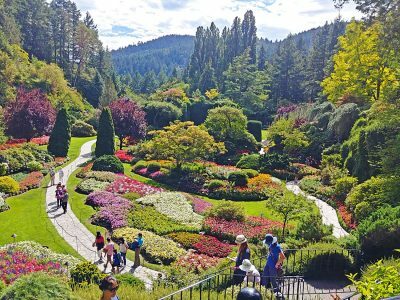 On to world famous Butchart Gardens – a magic place created by a women’s vision of a rich family with name Butchart who converted their limestone quarry to a floral display garden. 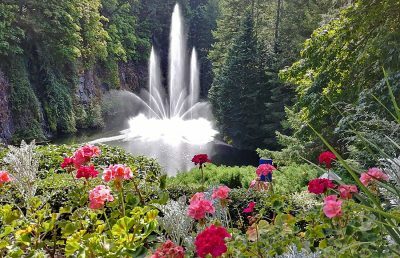 Even today, the same family takes care of this international treasure, a nature lovers and photographers wonderland. 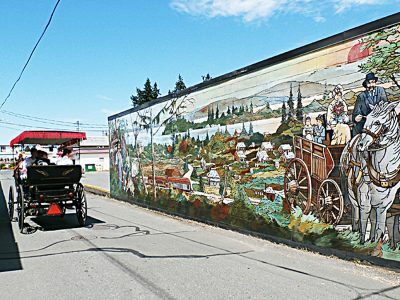 Afterwards stop at an amazing small artisan town of Chemanius, formerly a logging town, that managed to survive by encouraging international artist to paint its 39 famous outdoor murals. Then we get settled in at the coziest Bed & Breakfast Inn in Port Alberni. 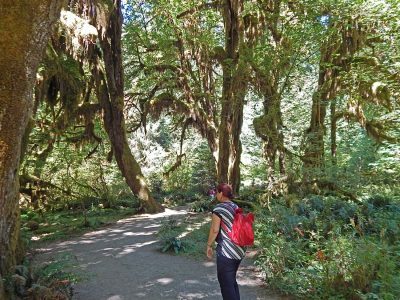 It’s the perfect day tour from Port Alberni to the Pacific Rim National Park Preserve, full of exciting new sights! 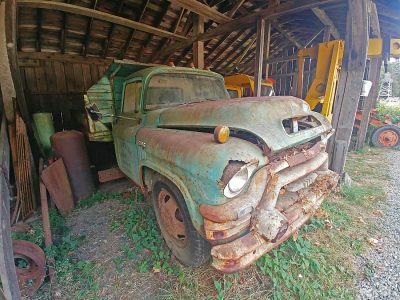 First, we explore McLean Mill historic park, an example of Canadian logging decades ago. 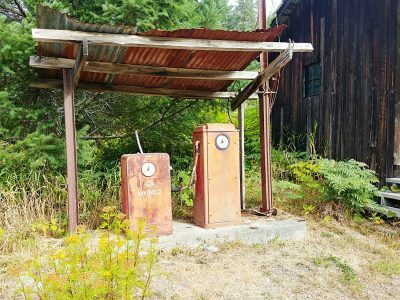 There are still some fancy cars around including a gas station. 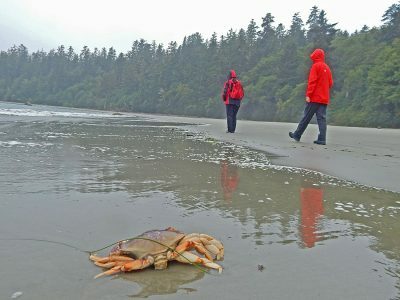 The Pacific Rim National Park Preserve is a UNESCO World Biosphere Reserve with rugged mountains, temperate rain forests and wild beaches. 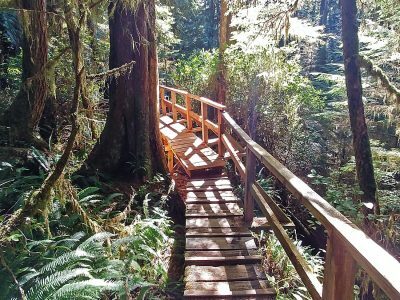 Our boardwalk leads through mystic rain forests where Western Red Cedars have grown for centuries ending on a long sandy beach. The protected cold sea waters provide living space for many plants and animals including Dungeness Crabs, green shiny Anemones, sea stars, mussels and many more. You can discover them at low tide. By Ferry we reach the largest city of British Columbia, Vancouver on the mainland in B.C. During our short 2-hourly visit we work our way through this city of millions of people and cars. 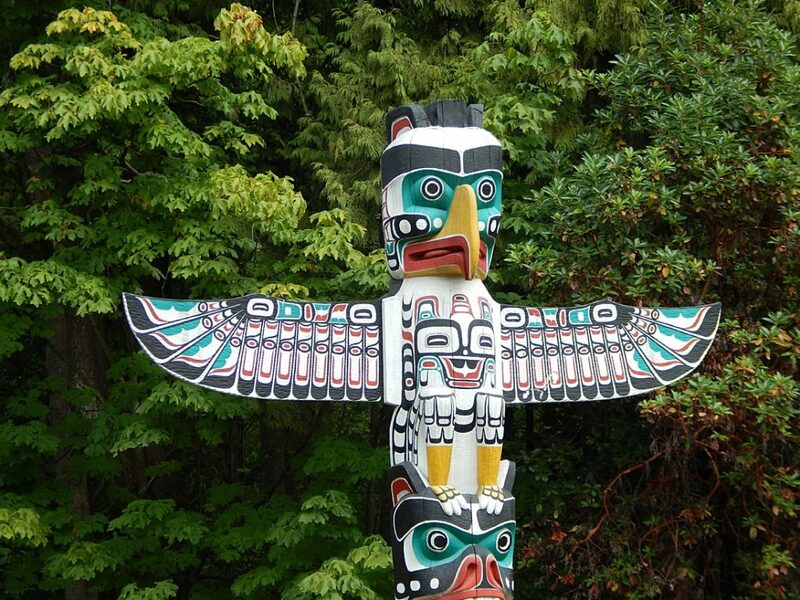 Our focus is on Stanley Park, a wilderness area within city limits with views of the city’s skyline and some intricately carved famous totem poles. 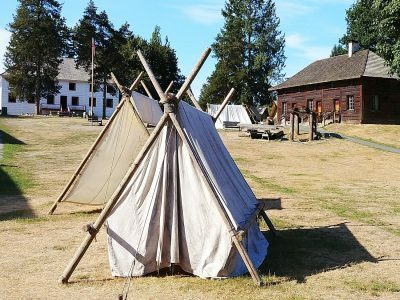 Long before Vancouver was a city there was Hudson Bay’ Company’s Fort Langley, east of present-day Vancouver established in 1827 on the Fraser River. 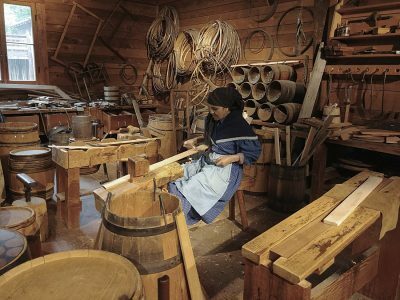 There are still original buildings to explore and lots of Canadian history to experience. Scholars dressed up in authentic clothing demonstrate the way of pioneer life. 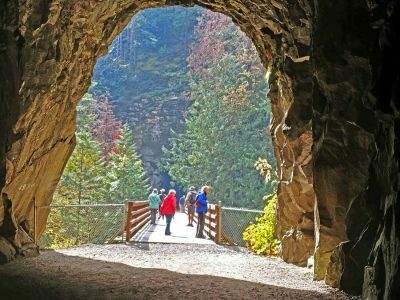 The following day our small active group of adventurers takes a hike leading through old train tunnels (with flash lights) along a narrow canyon carved by a wild river filled with salmon you can watch. These are called the Othello tunnels. 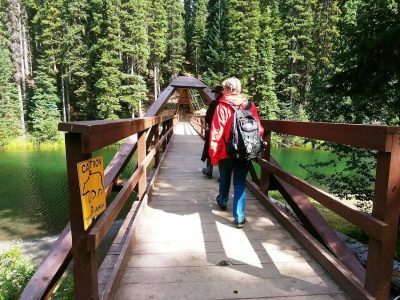 Later, after picnic on an alpine meadow we hike around a mountain lake, habitat of bears up in Manning Provincial Park. 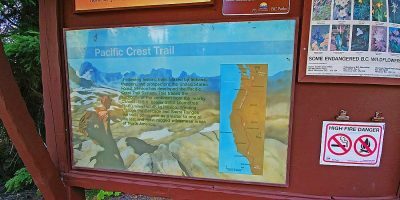 Here, in Manning Provincial Park is the northern most start of the Pacific Crest Trail, the longest hiking trail in America with 2,650 miles, 5 months hike. 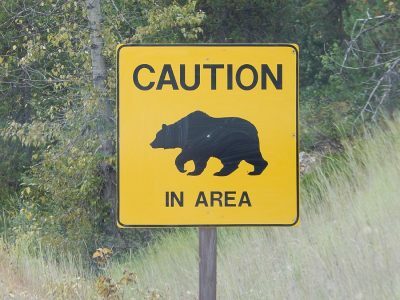 It starts in B. C. and ends on the Mexican Border – we are happy to stop at the sign and don’t have to walk it all…. 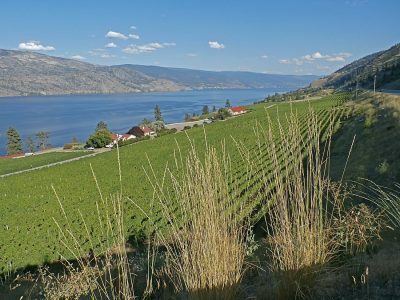 Tonight, we stay in Kelowna on Okanagan Lake, a pretty small city surrounded by blue lakes, fruit orchards and exceptional Canadian wineries – totally unexpected mild climate for Canada! 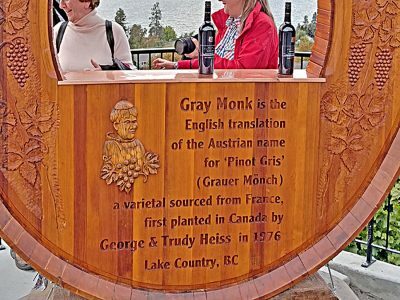 Great place for wine tasting. In summer, enjoy the sandy beaches and warm waters.